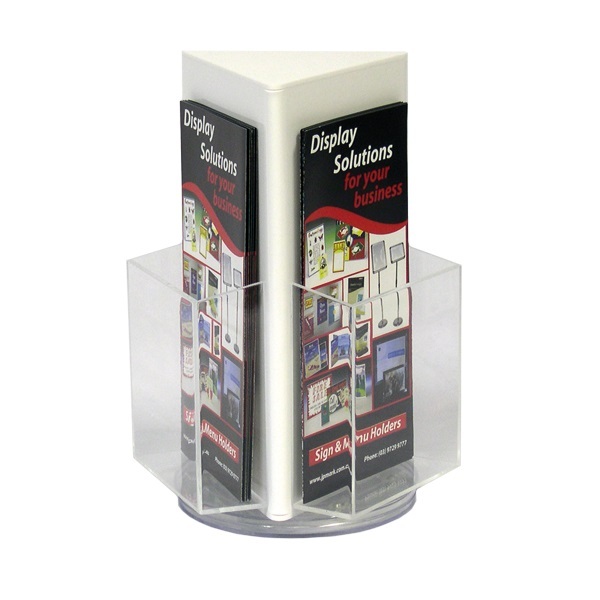 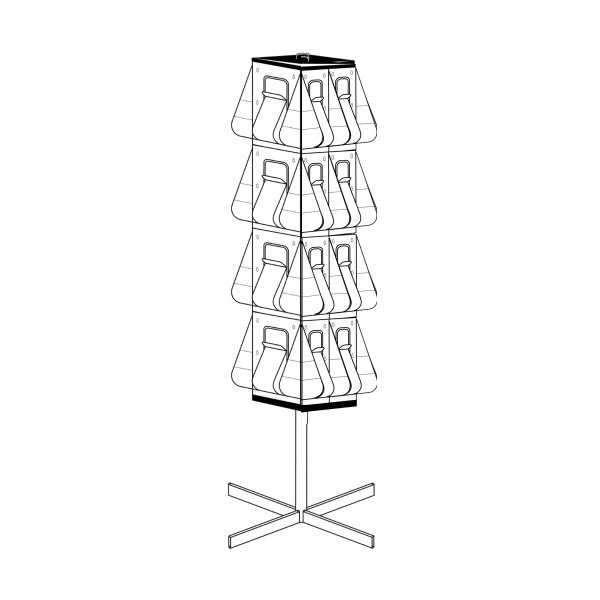 Modern acrylic and aluminium design, double-sided 6 shelf floor display stand ideal for exhibitions and conferences. 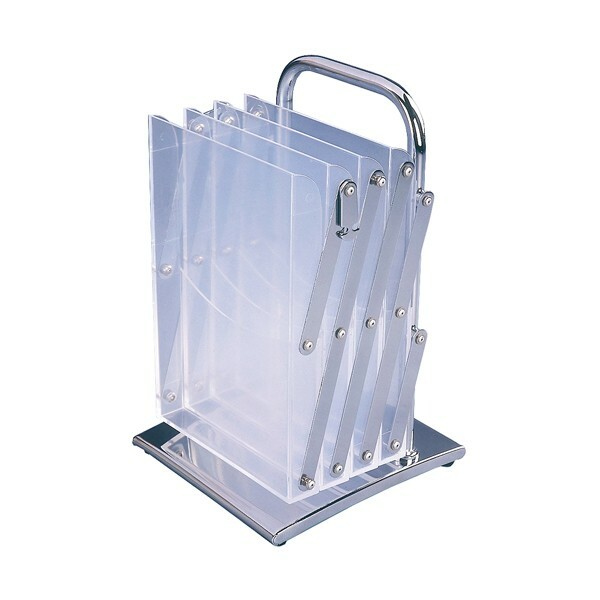 Expandable, locks into place and collapses with ease. 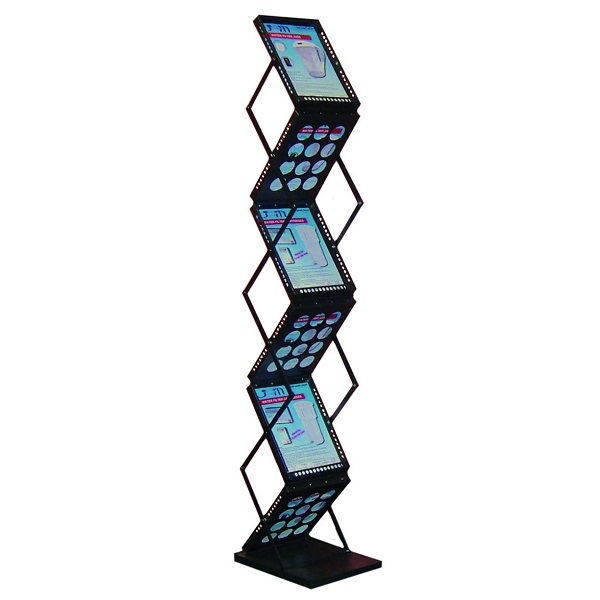 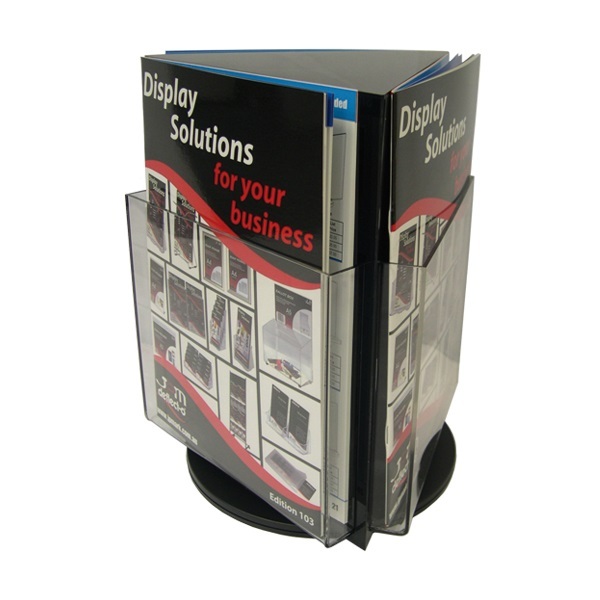 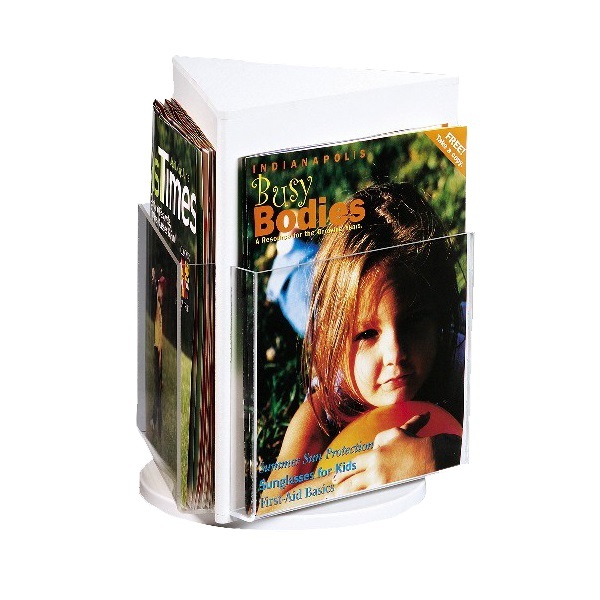 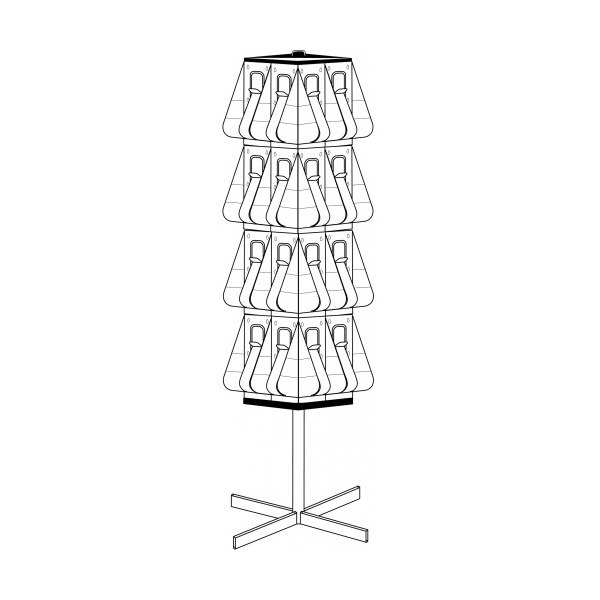 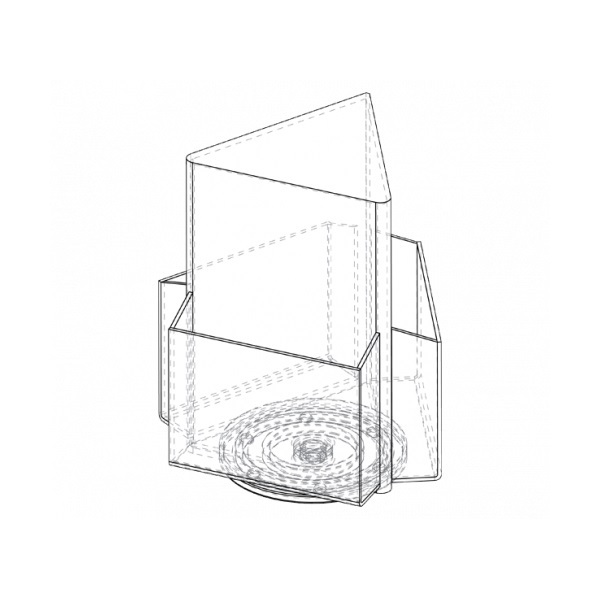 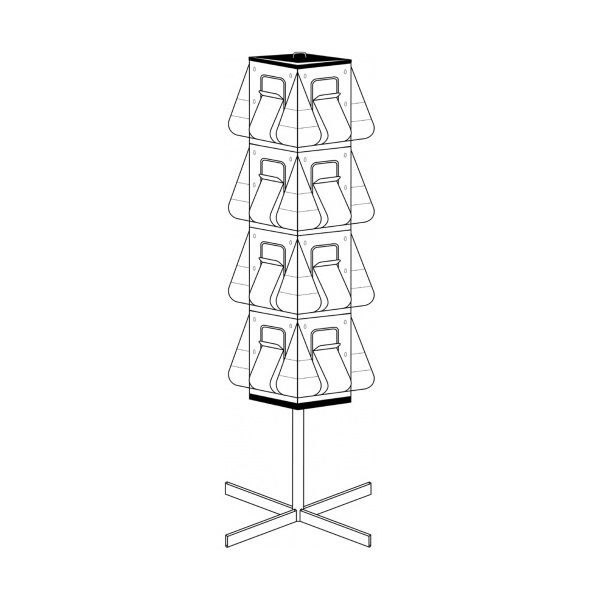 Suitable for displaying A4 and DL size promotional brochures, magazines and flyers. 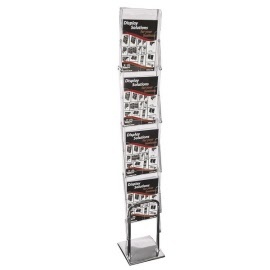 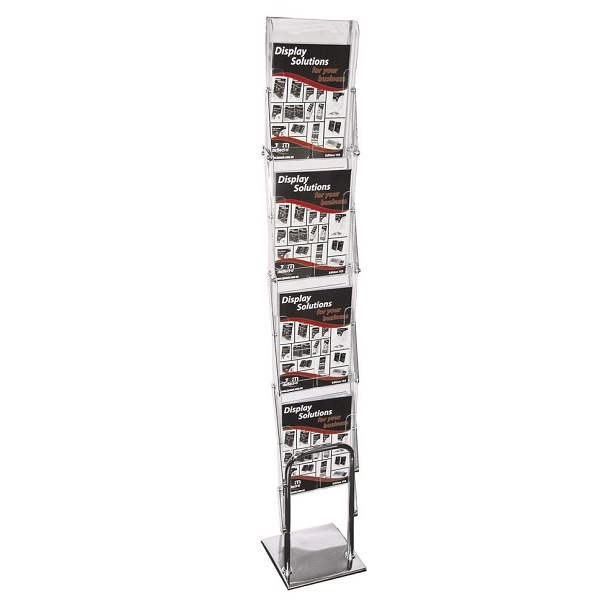 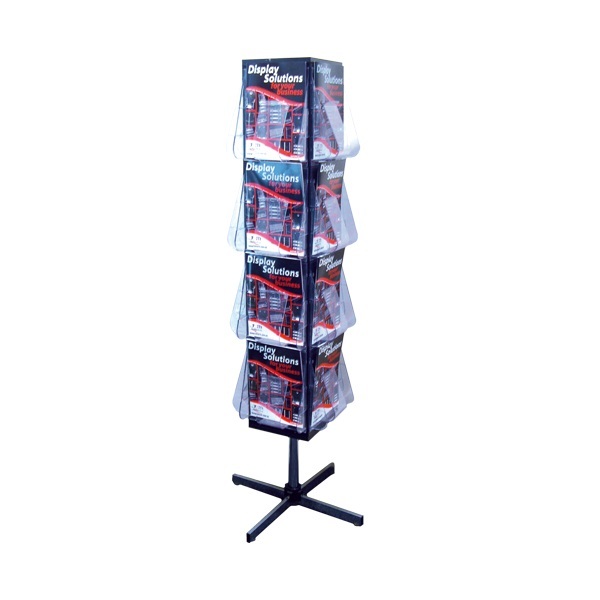 Durable black metal frame construction, double-sided 6 shelf floor display stand design ideal for exhibitions and conferences. 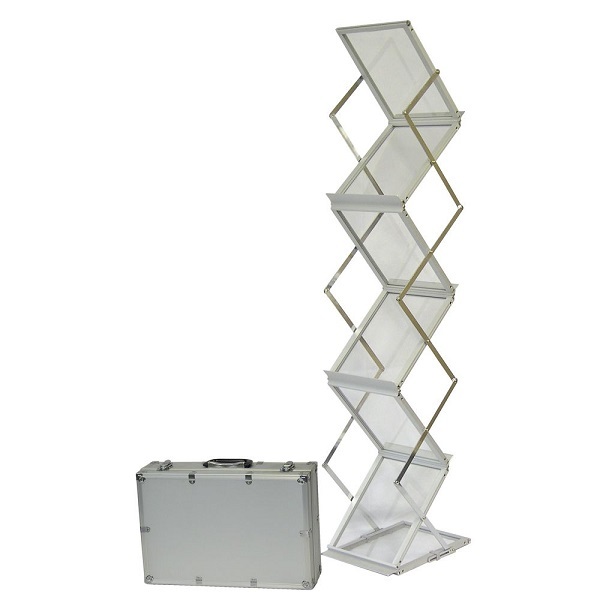 Modern chrome and acrylic design, 4 shelf floor display stand ideal for exhibitions and conferences. 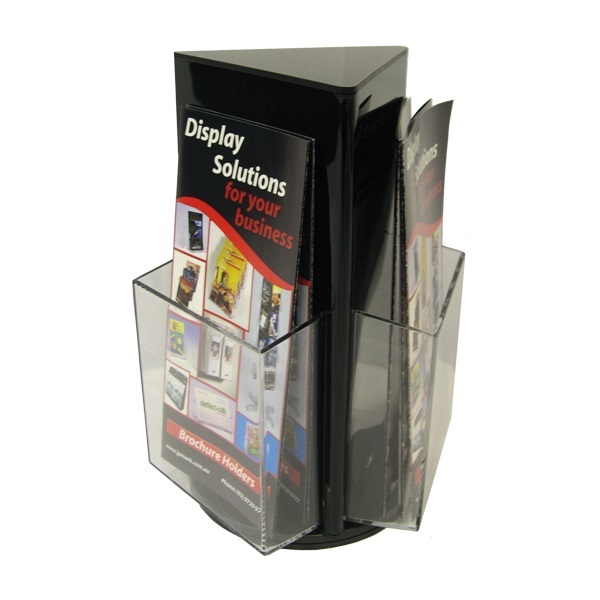 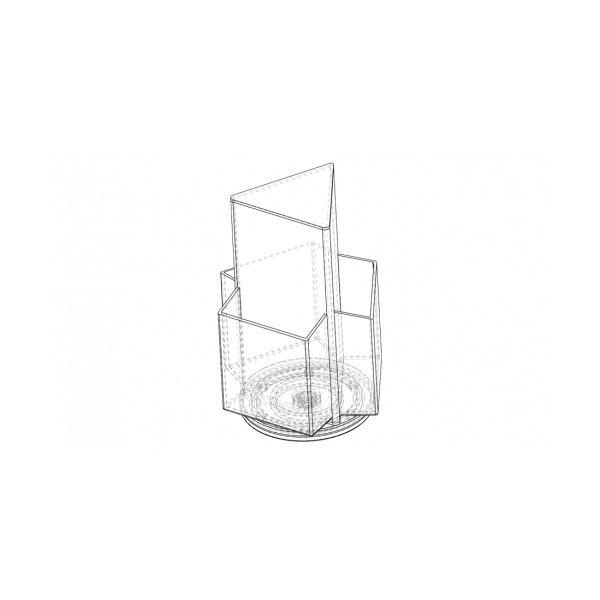 Sturdy chrome base with four A4 acrylic display slots for promotional brochures, magazines and leaflets.